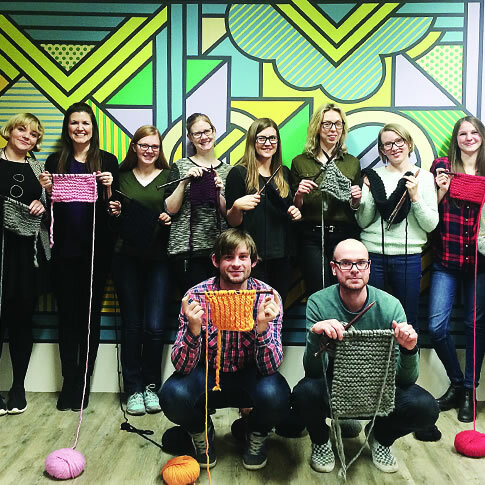 Get your knit on with Wool and the Gang. Choose to host your own at home or at your office, or why not join a party taking place near you? Join in on the fun and hop along to a WATG party! All parties are suitable to both beginners and experienced makers, as each piece can be made in various difficulty levels. Each party will be run by a WATG host, making sure you’re having a great time. Knitting is the new yoga. 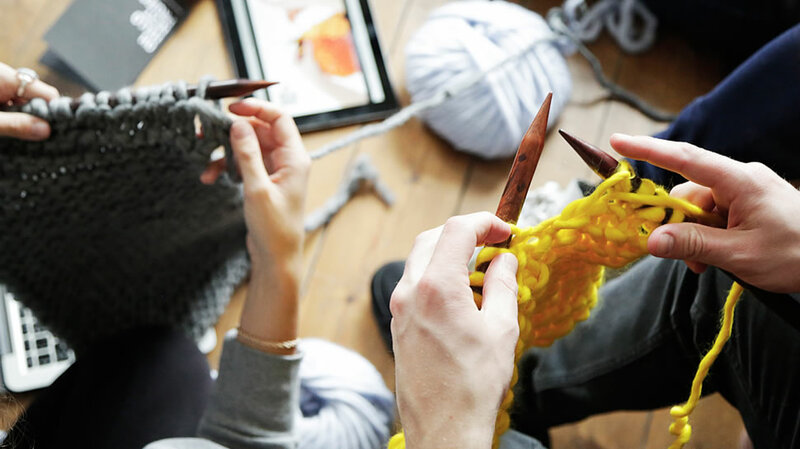 Alongside other meditative hobbies such as yoga, knitting and crochet were in the top Google 'how to' searches of last year with a 70% increase from 2013. So bring the zen (and a fair bit of fun) to your workplace! 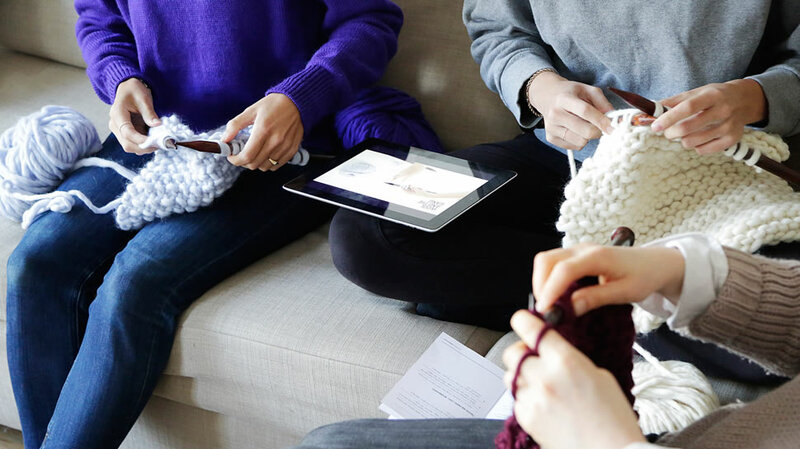 That's why we came up with the idea of Parties so you can get your Gang together, unleash your creativity and get your knit on! Basically, it's a great a way for staff to destress before going to work – charged, renewed and filled with creativity. Benefits all-round! Aside from the video tutorials, we can also offer helpers on hand. Just get in touch if you'd like a maker to come along, introduce WATG to your team and lead the event. 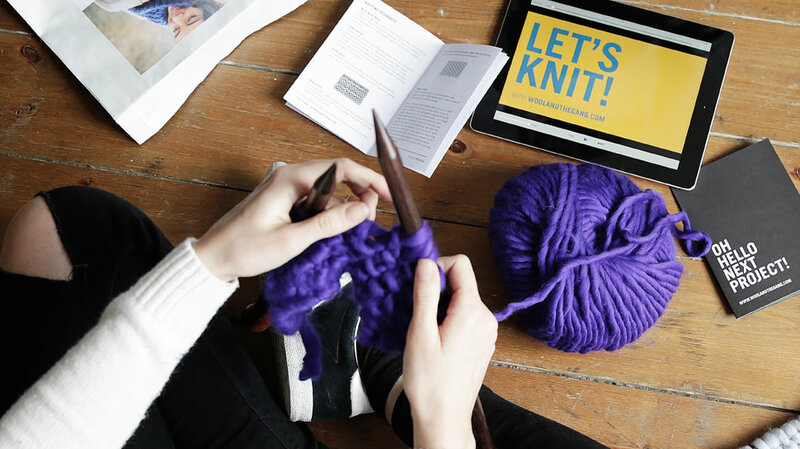 Here at MOO we are huge WATG fans; we all love a bit of knitting. 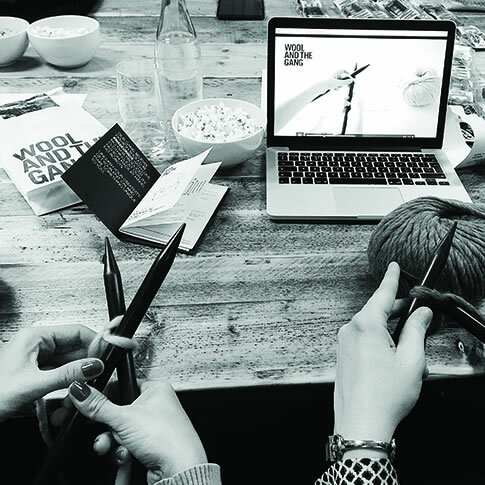 Having a Wool and the Gang Knit Party in our creative studio was fab. It was a chance to get everyone together and bond over the gorgeous wool. Big thanks to you guys for hosting! 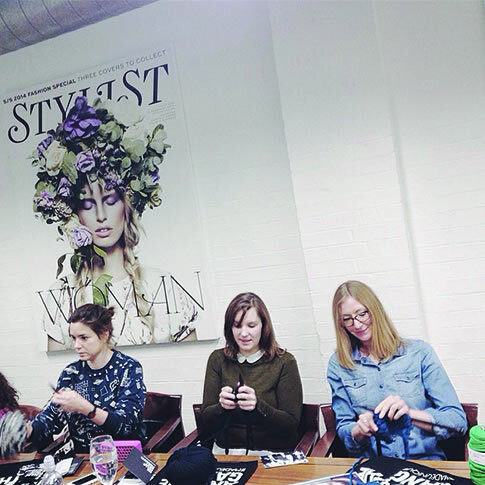 Everyone really enjoyed it so it was definitely a brilliant way to reclaim our lunchbreaks… Can't wait to finish my snood. 'Corporate party' in the subject line and we'll get back to you.